All are welcome to join the Maitripa College community on Sunday mornings for a dharma talk and conversation with Yangsi Rinpoche and senior alumni. These are relaxed, informal Buddhist teachings, open to all ages and practitioners. Families are welcome. 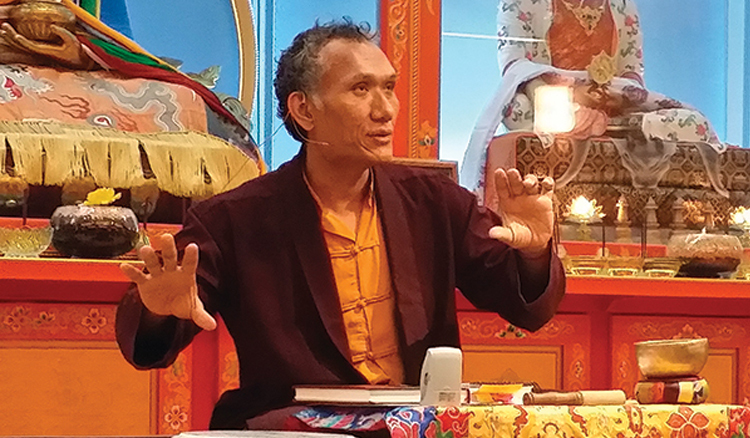 Each Sunday, Rinpoche, or one of our senior alums, discusses different aspects of Buddhist psychology and practice, and how we can apply Buddhist ways of thinking to our every day lives. Accompanied by guided meditation and reflection, each session includes a period for Q&A. Depending on the teacher, on Sundays we recite traditional Tibetan Buddhist prayers, including The Heart Sutra, one of the great Mahayana sutras and teachings on wisdom. After the teachings, you are welcome to relax in the lobby for tea and cookies. Sundays are a great way to go into the week with an uplifted perspective, and to socialize with other like-minded people. Please consider signing up as a volunteer (click here) to assist on Sundays . Your support makes these events possible and successful. We thank you and look forward to seeing you at Maitripa! Yangsi Rinpoche was recognized as the reincarnation of Geshe Ngawang Gendun, a renowned scholar and practitioner from Western Tibet, at the age of six. 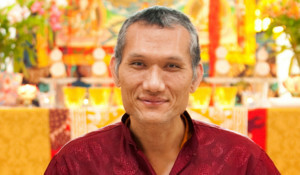 Rinpoche trained in the traditional monastic system for over 25 years, and in 1995 graduated with the highest degree of Geshe Lharampa from Sera Je Monastic University in South India, going on to complete his studies at Gyume Tantric College. Rinpoche founded Maitripa College in Portland in 2006, teaches in English, and is admired wherever he travels for his unique presentation of the Dharma, his interest in and enthusiasm for Western culture, and his evident embodiment of the wisdom and compassion of the Buddhist path. >Read more. After graduating from University of California, Santa Cruz, Michael moved to Portland in 2006 to attend Maitripa College and was part of our first cohort of students and graduating class. He’s been an active part of our community ever since, and at Yangsi Rinpoche’s request, regularly leads rituals and meditations, and teaches various community programs. 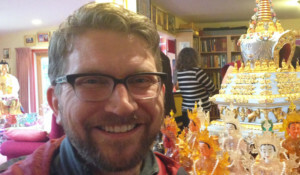 For the last ten years he’s worked for the Foundation for the Preservation of the Mahayana Tradition’s (FPMT) International Office in Portland. He’s currently pursuing a master’s degree in marriage, couple, and family counseling at Portland State University, where his focus is on LGBTQ+ couples and families, men’s issues, and spiritual wounding and repair. >Read more. Carl is a chaplain in the Spiritual Care department at Providence Portland Medical Center. Originally from the Pacific Northwest, Carl’s lived all over the world and first encountered Buddhism when he and his wife, Heather, were serving as Peace Corps volunteers in western China. After their service, Carl and Heather attended the annual month-long November Course at Kopan, Lama Yeshe and Lama Zopa Rinpoche’s monastery in Kathmandu (and where Yangsi Rinpoche lived as a little boy when he was first recognized as the reincarnation of Geshe Ngawang Gendun by Lama Yeshe). 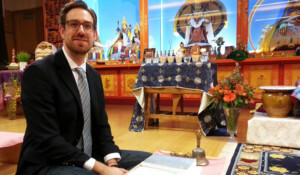 Since graduating from the Maitripa College MDiv program in 2015, at Yangsi Rinpoche’s request, Carl has regularly teaches various FPMT programs for the community, including Buddhism in a Nutshell, Meditation 101, and Discovering Buddhism. >Read more.